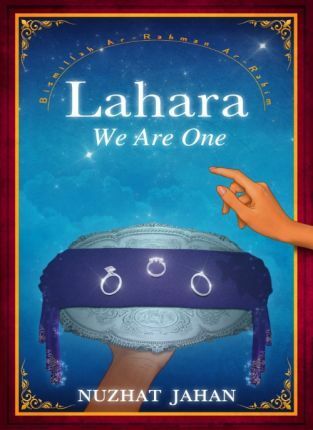 Lahara; We Are One is the first part of the Lahara series, a magical and profound saga, which explores the meaning of our lives and our dreams. Filled with adventure and mysticism, Lahara uses her unique gift of interpreting dreams to uncover the reality of true oneness within the world. When Lahara's best friend Emma dies in mysterious circumstances, Lahara's life takes a transformational turn. Lahara's closure lies in fulfilling her last promise to her best friend, to write a book about her dreams. Her book-writing journey takes Lahara away from her Islamic family in London and her beloved, disabled sister Naira. She travels the world, from India, Iran, Jerusalem, Saudi Arabia, to New Zealand, Bali and Australia and learns to understand the spirituality of her inherited family religion. But can her religion and her spirituality join forces to live a life aligned with her true, life purpose? In the quest to find the right man for her, Lahara discovers a deeper purpose and follows her gift of dream interpretation to help her make choices in her complicated romantic life. Set against the mysterious thread of symbolic dreams and interpretations, applied to everyday life - from the modern dating culture, to our roles in our career and our interactions with friends and family- Lahara discovers that to understand her own truth, she must first unearth several dark secrets. Can our gifts be used to mislead other people? Is finding the husband of her dreams the right path for her? How did Emma actually die?